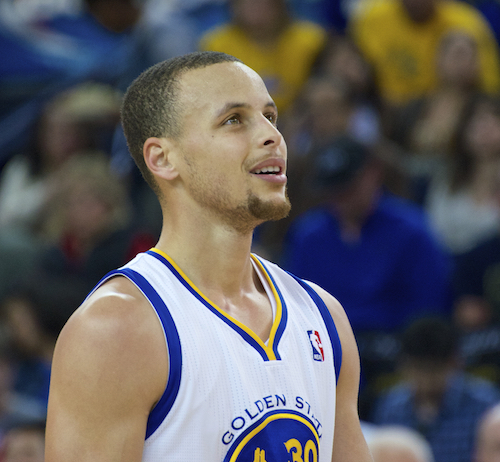 My latest article on how data science in advertising is similar to the data science be used in the NBA is now up on Digiday. My passion for basketball has existed my whole life, so it’s really cool to see aspects of my career and the current state of data usage in the NBA start to have similarities. 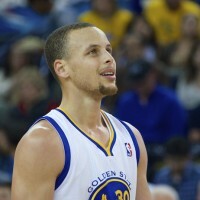 Plus, Stephen Curry and the Golden State Warriors are always fun to talk about based on what they’ve accomplished this year. Give it a read at Digiday. verb (used with object), acq·hired, acq·hir·ing. 1. to buy a company primarily because you want its employees. Acqhire is a term that has popped up often on tech blogs over the past few years to explain the type of transaction where a larger company buys a startup primarily for the team instead of a normal acquisition where they are buying the entire company and their products. Facebook has been notorious for acqhiring companies such as FriendFeed, Gowalla, Beluga, Nexstop, Drop.io, and others. Other tech companies like Zynga, Groupon, Foursquare, Google, AOL, and Yahoo! have done these types of transactions. Was this a good or bad thing for the startup? Is the startup team happy? How does it feel to start a company, get acqhired, and shut down your product? Well, I can now answer these questions since the company I left Yahoo! 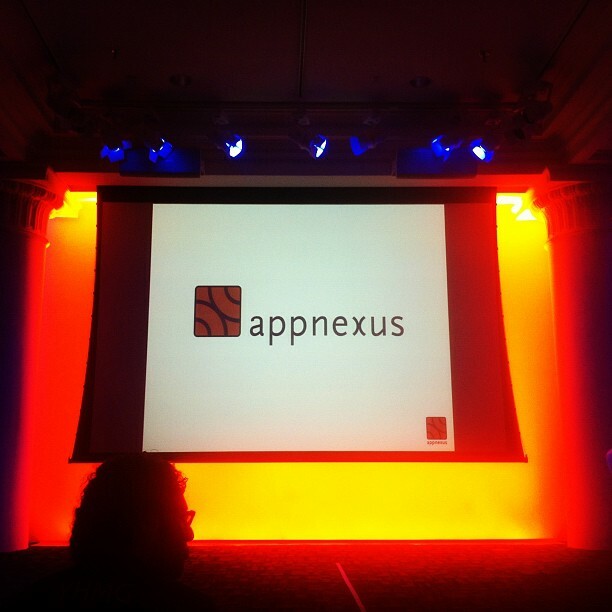 to start exactly two years ago today just got “acqhired” by ad technology powerhouse AppNexus. I thought it would be helpful to share my insights on the above questions and detail more about how/why this transaction has happened. My early career was a combination of startups and one steady job until Right Media CTO Brian O’Kelley hired me to work building out the publisher business there. While at Right Media, Joe Garstka and I got the amazing opportunity to be a “startup within a startup” as we built an office and hired an incredible team in Oregon, while Brian was helping us across the country from New York. I’m very thankful that Brian and Right Media CEO Mike Walrath took the chance on us when the company was still young with 30 employees. We built a very successful publisher product in Oregon called Direct Media Exchange, and we now know how that story ends — with Right Media being acquired by Yahoo!. I wrote a previous blog post that detailed being acquired and working at Yahoo! for three years which you can read here. 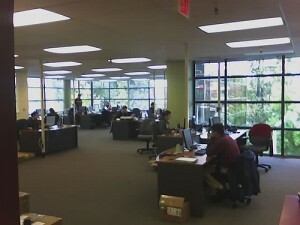 After Right Media was acquired, Brian started AppNexus with fellow Right Media alum Mike Nolet. At the time I already knew they were a strong duo, and when Brian offered me the chance to invest in their angel round, I really wanted to do so. Unfortunately, the legal team at Yahoo! had other ideas, so I never went down that path. Brian also brought up the opportunity to be an early team member a couple of times over the next year, but I was enjoying the experience of learning at Yahoo! and staying seemed like the safest financial decision. In retrospect, it would have made more sense to have invested and joined the early team, but hindsight is always 20/20. After the great ride at Right Media and then working my way up to being a VP at Yahoo!, it felt like it was time again to take a serious run at my own startup. Former Right Media CEO Mike Walrath had started to do startup investing, along with Right Media angel investors Noah and Jonah Goodhart. Mike had become a mentor to me, so I was thrilled when they were interested in investing in whatever company I planned to start as well as take a very active role in the business. Brian also invested, I put some of my own money in, and we ended up with enough total capital to pay myself and a cofounder living wages as well as hire a couple of other people. I now see it was a bit of a mistake to create a company and raise capital without really knowing what specific problem we had a huge desire to go solve. When former Right Media and Yahoo! colleague Mike McNeeley joined me as a cofounder, he and Mike Walrath and I began trying to solve some basic problems we identified on the Web, such as what we felt were sub-par Yelp reviews that dominated the consumer reviews space. 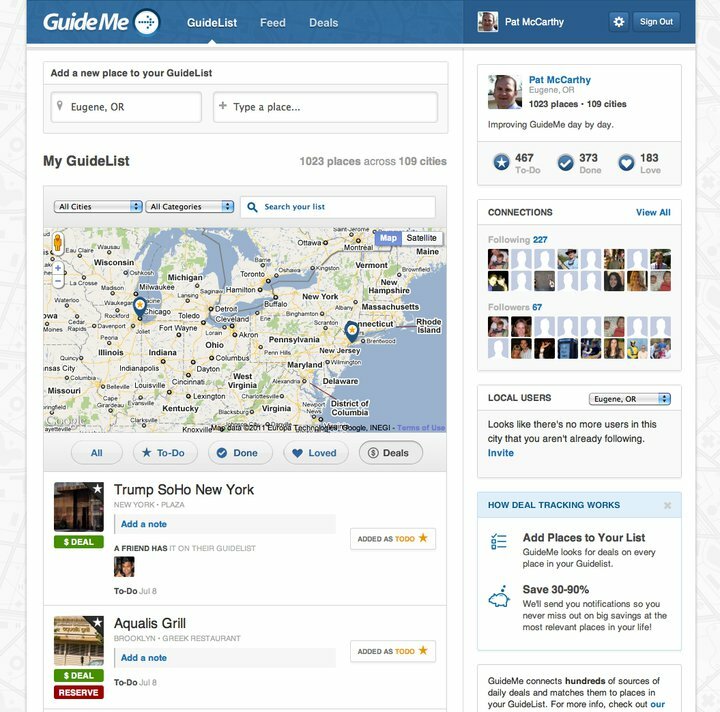 Even though starting a company in advertising technology was tempting, we decided to build a smarter local recommendation engine and our product GuideMe was born. We went through various common startup problems and our first prototype didn’t gain much traction. We learned what we could from it and determined some other ways to solve the same problem, and I also finally successfully recruited Joe into joining the team to lead development for our next version. Besides improving our tech skills with Joe, we began contracting with a great designer named Jack Bingham out of the UK that did a great job improving our design. Even though we built a much better product, we still weren’t generating the success we needed. Foursquare then added most of our product functionality to their mobile app with 10 million users, so we decided to keep the company alive but try building a product in new industry. For the second time, getting back into ad technology was an option we discussed heavily, but we chose to focus on my passion of sports to create a social prediction game that would serve as a more casual version of fantasy sports called Fantuition. During this transition phase, Mike McNeeley was living in New York while Joe and I were in Oregon, and Mike decided to return to advertising due to his passion for publishers and took a job as a product manager at AppNexus. Joe and I built a mobile web prototype for Fantuition focused on Oregon Ducks Football that worked well. 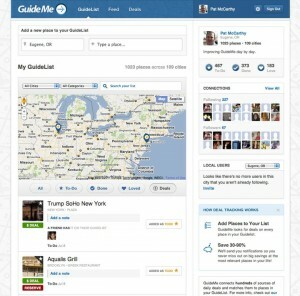 It wasn’t yet viral, but it was getting great feedback from users and had promise. That promise led us to quickly build a web version to go along with it and raise an additional round of financing from the ever-supportive WGI Group (Walrath and Goodharts), David Lee at SV Angel, Marker LLC’s Richard Scanlon, and Yext CEO Howard Lerman. We also hired UI designer Shane Foster and engineers Brandon Lerner and Johan Mulyono to speed up our pace of development. Both Shane and Brandon previously worked at Right Media and Yahoo! with Joe and I as well. Over all this time I’d kept up with Brian and the progress that he and his team were making at AppNexus. I was proud of them, excited for them, and happily jealous that Brian’s more mature startup was doing fantastic while I was on my second idea and hadn’t gotten serious traction yet. Our momentum eventually stalled a bit with Fantuition, but we had enough cash left to consider a bunch of options. We could commit to building an iPhone version of Fantuition, we could go for a major product tweak to try and find more viral traction, or we could have started from scratch again to try an entirely new idea. In discussing these options with Brian, he mentioned that it’d be interesting to discuss the opportunity of having our team join AppNexus. 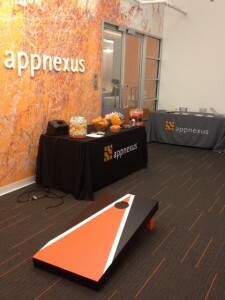 He said AppNexus was growing like crazy, they could use more great people, our team has really good ad technology experience, and AppNexus needed to grow their geographical hiring base to get more top talent. If anything, he thought it’d be great to have Joe and I come to New York and visit the offices and talk to some of the team about the company and where they were headed. I initially felt like Brian’s idea was intriguing, but that I didn’t want to give up on building our startup. I was committed to our vision and team we had built, and I expected to enjoy the visit and then return home to figure out what to do next with Fantuition. However, visiting the AppNexus offices and meeting for a few days with some of the team combined with thinking a lot about the opportunity and the market changed me from a skeptic to a convert. AppNexus blew Joe and me away. 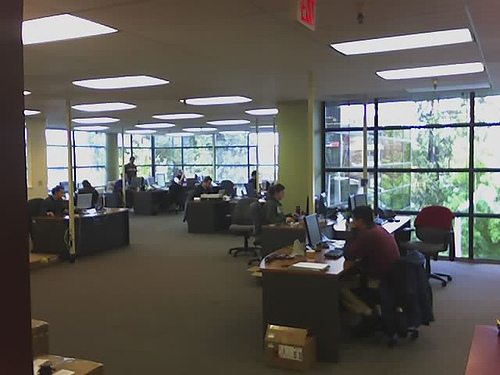 The executive team is fantastic, the office is an amazing space, the employee energy level is high, the company’s numbers are headed in the right direction, and the opportunities seem endless. As I look to the next few years of how the ad technology market will play out, there’s no company that seems better suited to become a powerhouse. I wanted to be a part of something bigger. I wanted to change the game like we did with Right Media, but to do it on a bigger scale and in new ways. After Joe and I talked with Shane, Brandon, Johan, and our investors, we decided we wanted to pursue negotiating a deal with AppNexus. That deal closed today. I’m extremely excited to start this next chapter and work with Brian, Mike McNeeley, Mike Nolet, and the rest of the former Right Media employees at AppNexus, as well as all the other talented people there I’ve met and have yet to meet. The company is on to something big, and it’s going to be a great to be a part of it. After that long-winded backstory, it’s time to answer the questions that people ask about acqhires. In our case, it’s hard to predict if we would have ever reached sustained profitability or had a larger successful exit. But even with a lot of things working in your favor, making a startup work is hard. I learned that lesson, and even with cash on hand, the opportunity at AppNexus became greater than the current opportunity at an independent Fantuition. Since most deals or employment agreements involve equity grants from the acquiring company, it is possible for the larger company to improve its equity value enough that someone joining through an acqhire makes some good money out of it. For example, look at some of the first acqhires Facebook made when their valuation was much lower like FriendFeed or Nextstop. Definitely. It is a bittersweet experience though to shut down the product you’ve been building and to stop thinking about the future for your startup. Across the board, our team has nostalgic feelings that our mission is coming to an end, but everyone is really excited about the bigger opportunity that is now in front of us. I believe the general sense is a bittersweet feeling. Taking investor’s money is a commitment that I took very seriously and I wanted to do everything in my power to make sure that I didn’t lose the money that had been invested in our company. That investor support means a lot, and I really didn’t want to let our investors down. All the startup stuff you read about the emotional rollercoaster that founders go through is definitely true. It was emotionally tough to personally raise capital and have employees with families whose jobs are riding on the decisions I made. I learned more than I ever thought was possible and I know I’m much better professionally from it. Even though it is painful to shut down our product, I’m extremely pleased to be joining one of the best technology companies in the world while also managing to continue to work with our team and live up to our investors’ expectations.